If you receive a Pell Grant, the University of Pittsburgh will match it dollar for dollar beginning fall 2019. Learn more about the Pitt Success Pell Match Program. Nearly all of the students who apply for financial aid -- 94% -- receive some kind of assistance through scholarships, grants, loans, work study, or undergraduate research funds. That helps to reduce the actual cost you'll pay. Most of our students receive financial aid, so they’re not paying the full amount for tuition and fees. Check out our examples to get a better idea of what you may pay. We have a wide range of scholarships to help you with your education. Take a minute to review our list of scholarships. Then, you can make an appointment to meet with a financial aid counselor. Our basic room and board rates are among the top five most affordable for four-year public universities in Pennsylvania. We’ve been recognized several times by outside organizations for being a great value. Click here to visit the official FAFSA website. 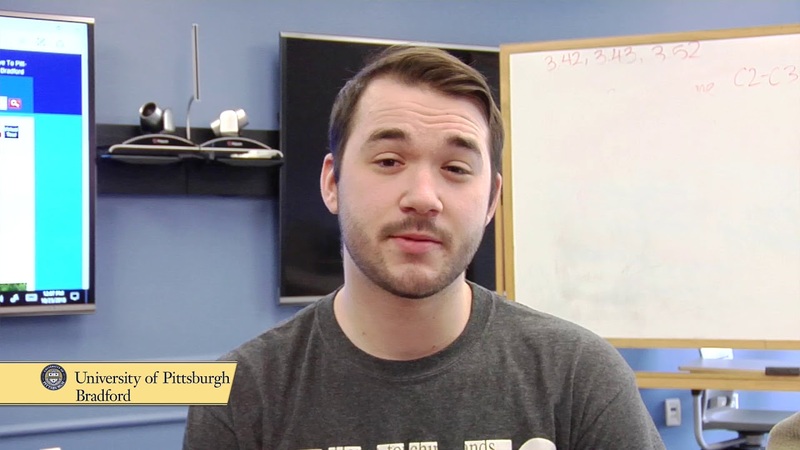 Students and Faculty talk about aid at Pitt-Bradford.